Anthem | Arroyo Grande | Arroyo Norte | Desert Hills | Tramonto | Amber Hills | Carefree Crossing | Sonoran | Foothills | Stoneledge | Valley Vista | Norterra Fireside | Cave Creek | Carefree Highlands | Sonoran Commons | Vistancia of Peoria | Dynamite Mountain Ranch | Black Canyon City | ...And surrounding areas. Wyman Plumbing & Mechanical LLC is based out of Anthem, AZ, and we proudly serve our neighbors of the North Phoenix Valley. 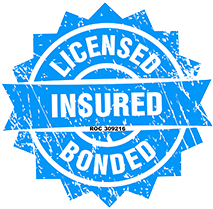 We are a state-licensed, bonded and insured plumbing service company. From our office team to the service technicians, we all live in the same community and have the drive to serve our fellow neighbors with excellence! As a local tight-knit team, our plumbers provide honest, reliable plumbing services that stand head-and-shoulders above the rest. We offer 24/7 emergency service, as we understand that a leaking or broken pipe can seriously affect your home. Wyman Plumbing technicians are detailed, courteous and knowledgeable. We are equipped with all the tools needed to get your task done efficiently, quickly and neatly. Our experienced plumbers will show up in service vehicles that are fully equipped with the latest technology in plumbing repair. Each technician takes pride in leaving your home clean and in better condition when they leave. We are confident you will not find better qualified, down-to-earth plumbers in all of Arizona. Our expertise includes the installation and repair of water heaters, water softeners, Reverse Osmosis (R.O. ), garbage disposals, gas lines (BBQ, Dryer, Fire Pit, Range, etc. ), faucet, toilet, and pressure reducing valves (PRV). Other services include fixing drain issues, drain cleans, toilet problems, water main repairs, broken pipes, septic/sewer lines, leak detection, re-pipes, plumbing camera inspection, rooter services, and more commercial or residential plumbing services. Did you know? Wyman Plumbing & Mechanical guarantees all our work. We offer 24/7 emergency service as we understand that a leaking or broken pipe can seriously affect your home. Our experienced plumbers will show up in service vehicles that are fully equipped with the latest technology in plumbing repair. Wyman Plumbing & Mechanical put services together that best serve our Arizona customers. Check out our selection of services below. Have a project you don’t see listed below? Just reach out to our office and we will let you know. If it is plumbing related, we can do it! Here is just a condensed catalog to overview some of the many plumbing services we can offer your home. We offer many commercial plumbing services to North Phoenix Valley businesses. Providing replacement and installation of gas lines and underground gas lines to the North Phoenix Valley of Arizona. Our Plumbing Camera Inspection Service allows us to get a view on what kind of destruction is going on within your sewer lines. Wyman Plumbing & Mechanical offers Rental Programs to make the water for your family better than ever! Go with a Tankless Water Heater to reduce your energy consumption by as much as 40%, lower operating costs, use less space and receive hot water on demand. We also offer tankless maintenance and repair services. Wyman Plumbing & Mechanical handles water heater installation, maintenance, and repair for Anthem Arizona and the North Phoenix Valley. Expand your usable living space to the great outdoors with the cooling power of a water misting system that gets temperatures down up to 30 degrees. We offer maintenance and repair services of misters, too! We offer maintenance, repairs and installation of water softeners, whole house filtration, Reverse Osmosis drinking water and water conditioning systems. Experience the clear difference luxurious, treated water brings to your home. Schedule your free no-obligation in-home estimate today.